Today's reader request was a tough one! Jan says, "I have been searching everywhere for 'not cheesy' party ideas for my son's first birthday. We'll be celebrating on Super Bowl Sunday 2009. Any ideas?" 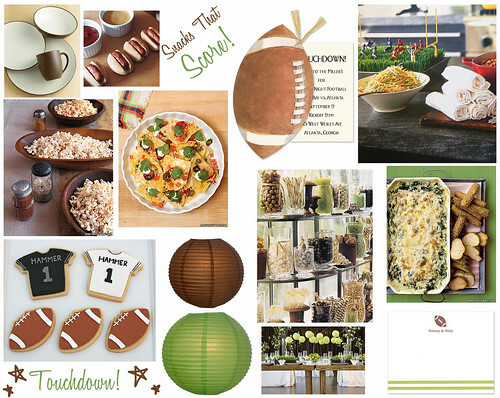 Using green and brown as my palate, I came up with a fun and sporty party theme suitable for baby. Jan, I hope this post provides some inspiration for your Super Bowl Party and helps you to achieve your goal of a first birthday party with style.